"The last time you left the story hanging," said the roommate, as we sat watching television. "Yeah, I did," I replied. "Then answer the simpler question that you did not answer, the last time we had a discussion." "You said that if Europe goes off the Euro, it won't be good." "So explain that to me!" "So last week, a new deal was negotiated for Greece, where private creditors have been asked to take a 50 per cent haircut." "Haircut? "she interrupted. "Are we talking fashion or economics?" 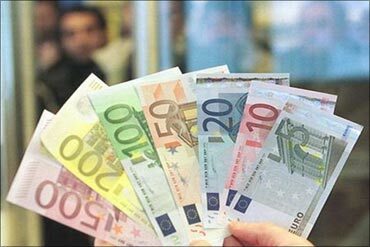 "Euro as a currency started operating on January 1, 1999. Before that the German currency -- Deutschemark -- used to be the premier currency of Europe. 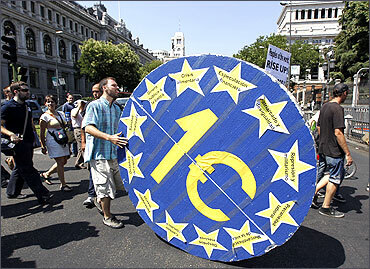 The Euro inherited the strength of the deutschemark. 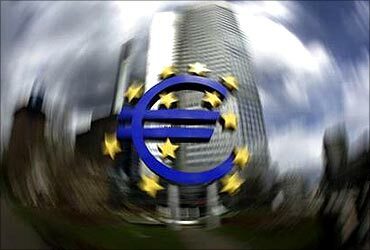 The world looked at the Euro as the new Deutschemark." "Why are we talking about Germany suddenly?" "Hold on. You will get the answers to all your questions. Now the strength of the Euro benefited countries like Portugal, Italy, Ireland, Greece, Spain, etc. Before moving onto the Euro as their currency, they had to borrow money at substantially higher interest rates. But with the Euro as the common currency, they could borrow money at interest rates as good as the rates at which Germany could borrow." "Well, with low interest rates these countries went on a borrowing spree and since they borrowed much more than their repayment capacity is, they are in a mess. Greece is the smallest of these countries and is in the biggest mess." "The Greek government over the years borrowed a lot of money to finance its fiscal deficit, which is the difference between what a government earns and what a government spends. A lot of this borrowing was from private investors like German banks to whom the Greek government currently owes Euro 8.6 billion." "Hmmm, now I get what you were initially saying." "So these private creditors of the Greek government have now agreed to take a 50 per cent haircut." "What it basically means is that for every 100 Euro owed to them, they have agreed to accept 50 Euro as repayment, primarily in the hope that Greece at least repays 50 per cent of what it owes to them." "So Greece is defaulting, though technically and we call it a haircut?" "Yes, you are right. The hope is that by doing this, Greek debt will come down to manageable proportions. Experts who have come up with this plan expect Greek debt to come down to around 120 per cent of its gross domestic product (GDP) in 2020, because of this plan. Otherwise it would have ballooned to around 180 per cent of its GDP." "But isn't this a risky thing for Germany?" "Well, if the German banks take a 50 per cent haircut on their outstanding debt of Euro 8.6 billion they lose around Euro 4.3 billion." "Which isn't much for them?" she asked. "Yes. But there is a bigger issue at stake here." 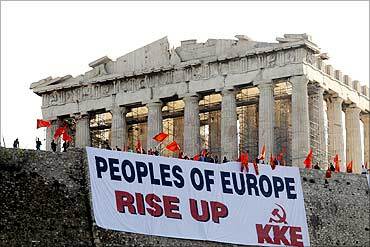 "The German banks owe around $45 billion to Greece in total. 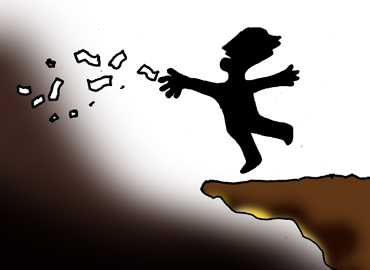 So a lot of money has been lent to the private sector in Greece. 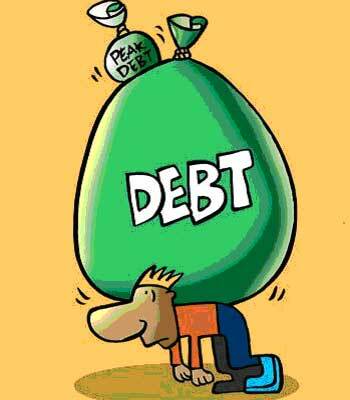 And if the government of a country is defaulting, do you expect the private sector to pay up?" "Yes. Also, Greece is not the only country which owes money to Germany. Spain owes around $238 billion to Germany. Italy, Ireland and Portugal owe $190 billion, $184 billion and $47 billion, respectively." "So these countries might turn around and say why don't we get a haircut on our debt as well? "And then there will be a bigger problem given that these countries are bigger and the money they owe to Germany is considerably larger." "So if they default, there will be a bigger problem?" she asked. "So then why is Angela Merkel, the German Chancellor, supporting this policy?" "Because there is an economic reason to it. Before Euro became a common currency across Europe, German exports stood at around $487 billion in 1995. 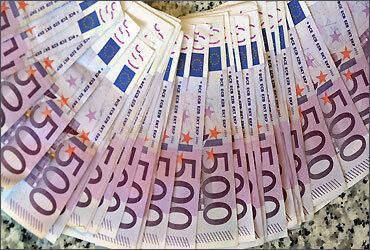 In 1999, the first year of the Euro being used as a currency the exports were at Euro 469 billion. Next year they increased to Euro 548 billion. And now they stand at Euro 1 trillion." "And all this was because of Euro being used as a currency?" "Yes. Using Euro as a common currency took away the cost of dealing with multiple currencies and thus helped Germany expand its exports to its European neighbours big time. Also with a common currency at play, exchange rate fluctuations which play an important part in the export game, no longer mattered and what really mattered was the cost of production," I explained. "John Mauldin and Jonathan Tepper explain this point in Endgame: The End of the Debt Supercycle and How it Changes Everything: 'Since the beginning of the Euro in 1999, Germany has become some 30 per cent more productive than Greece. Very roughly, that means it costs 30 per cent more to produce the same amount of goods in Greece than in Germany. That is why Greece imports $64 billion and exports only $21 billion'." "So the way it works is that German banks lend to other countries in Europe at low interest rates and they, in turn, buy German goods and services which are extremely competitively priced as well as of good quality. This, of course, helps Germany." "And that is why Germany is interested in rescuing these countries or at least showing that it is trying to do something about it?" "Yes, because if these countries in Europe collapse, then German exports will collapse as well. One solution bandied around is that these countries which are in severe debt to Germany should be asked to stop using the Euro as its currency. But if they stop using the Euro as a currency, then the huge export advantage which Germany has had because of the Euro will also end." "So Germany is jammed in from both sides," she said. "That's the moral of the story?"